Mark it on your calendar. Prepare your resignation letter. Buy sunscreen. We sail September 28. As usual, we'll be leaving at 7am on Friday. We'll have a full day of surfing after we arrive in Corpus. If you're a new recruit, take a look at some of our previous trip posts on the blog. This is your to-do list. Worldwinds treats us very well even though we're maniacs. As a courtesy to them please follow through with your class and board rental reservations ASAP. I promise that it's really easy. Please don't procrastinate -- hotel rooms and classes can fill fast. Commitment isn't that scary, I promise. Make reservations at the Best Western Marina Grand hotel, the Bayfront Plaza, the Omni, or arrange to share a room with someone who did. Check in on 28 September, checkout on the 30th. I am staying at the Best Western. When I checked, the 14 day advanced discount was the best deal there. You are responsible for your own hotel reservation. Call Worldwinds at 1-800-793-7471 and schedule your classes, or reserve a board rental if you don't want to take a class. I am taking the waterstart class at 1pm on Friday. Please tell them that you're with John Knox's group. Arrange to carpool and share your room. Feel free to post comments (click below) asking for rides, riders, rooms, roommates. I have an extra bed and a few empty seats in my car. My currently suggested class sequence is as follows: beginner, intermediate, harness, beach start, fast tack, planing in the harness. Please check out the packing list here. Don't get stuck without the necessities. Feel free to comment, send me a mail, or give a ring if you have any questions. See you on the beach! 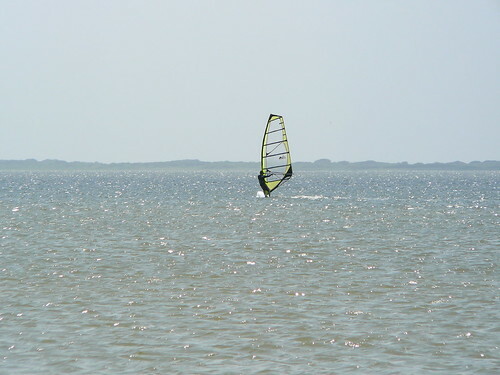 October: When Should We Windsurf?